Today my Office Manager (and sister) Amanda is guest posting. Amanda is very logical and organised and describes herself as not being very creative, so I thought I'd share with you her attempts at writing product descriptions for some of my patterns. Over to you Amanda! Hi everyone! Samantha was aghast recently when I said I couldn't tell the difference between two bag designs and tried to convince me that they were completely different bags! After that she asked me to have a go at overhauling her pattern descriptions, recognising that having a keen eye like I do could be of real value. This one is definitely easy for me to describe - it has round-y oval silver handles in the top, and it's very blue. It's also huge. 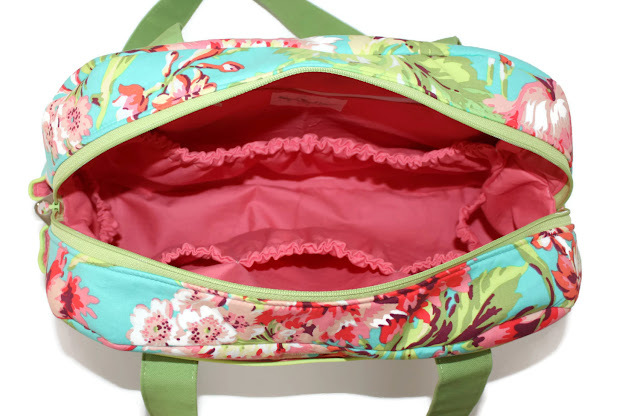 There's a big pocket at the front divided into two* and a zip to keep everything in in the inside. The zip is bronze. There's a strap that goes over your head. One of the photos has another, smaller round-y oval thing as part of the strap. It looks a bit like a giant necklace clasp. This one's more difficult because it looks quite similar to the Window Shopper Tote to me...but thankfully having seen it in person I know it's far smaller! There's also a flap over the main opening with a silver catch. It's rectangular and has more of those necklace clasps like the Window Shopper. I don't know why it's called convertible...maybe it converts into the Window Shopper when it grows up? The Bookbag Backpack is a backpack bag designed for carrying books! It has one over the head strap and two shoulder straps. The straps have the metal rectangular things which theoretically allow you to adjust the length but I always have to ask for help. The over the head strap also has necklace clasps - I'd never realised they were that ubiquitous! There are also ring things at the top so you can hang it from hooks which are attached with what look like drawing pins. Oh! Looking at them are they meant to be handles like with a shopping bag? I'm not sure why this one is called The Nappy Bag - it doesn't look much like a nappy, more like a prawn cocktail to me. Anyhow, The Nappy Bag is rectangular with a bigger bottom than top, a zip closure and a flap pocket on the outside. It's obviously a man's bag or the flap pocket would be fake. I think my job here is done! 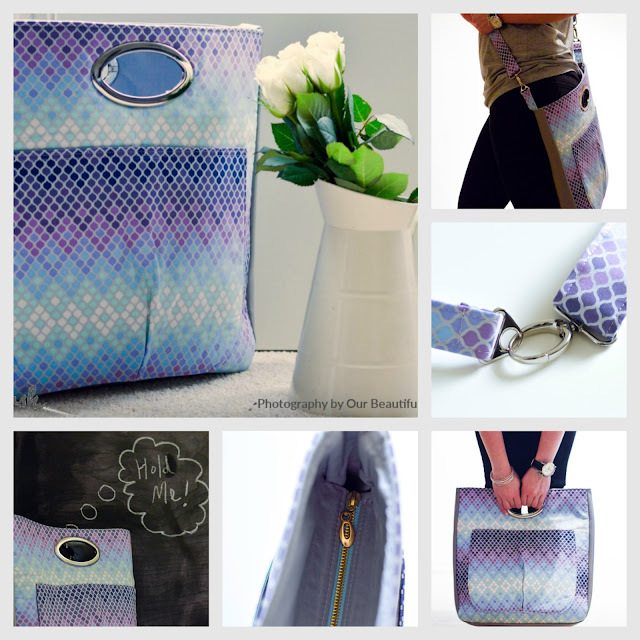 * The Companion Carpet Bag isn't actually magical, mystical, bigger inside than out or has endless storage. * The Companion Carpet Bag pattern doesn't come in blue or brown versions, but in two frame sizes, 8.5" and 12". * The front pocket has a pleat.... it's not divided in two. * Technically, you don't get free money every time you open the Gentleman's Wallet unless someone you love slips it in when you're not looking.